Change isn’t always easy. For example, if you’re a traditionalist by heart but want to incorporate more contemporary elements into your home, the idea of going full-on modern can be terrifying. On the other hand, if you’re a contemporary kind of person who craves some traditional style, trading your cherry-toned furniture for glass and brass could make anyone break out in hives. The alternative? Find a happy medium. We’re showcasing some of our favorite pieces that give off a traditional vibe with a modern edge, or a modern vibe with a classic twist. We think you’ll discover that these seeming opposites can attract and work beautifully together. 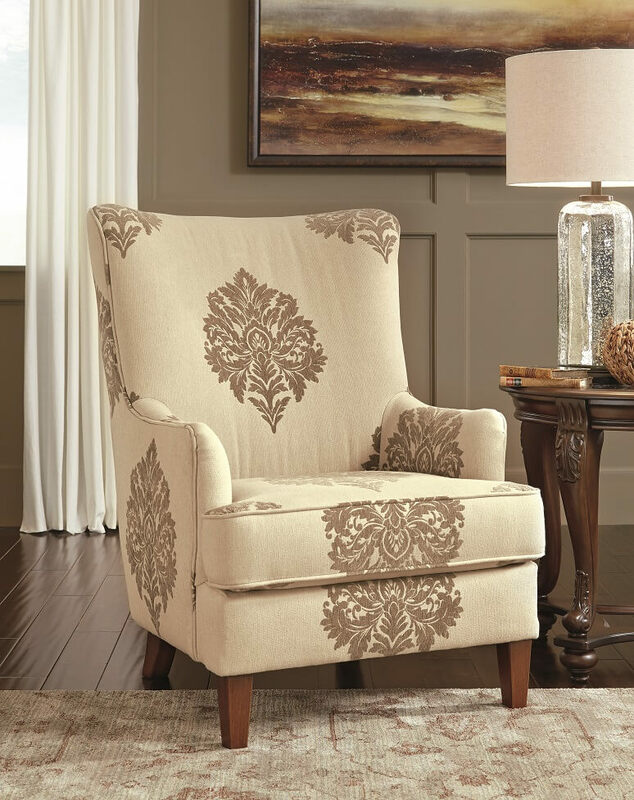 Subtle nuances incorporated into furniture with traditional designs give each piece a modern element. Look for natural wood grain finishes, planking effects, upholstery, colors and ornamentation, to name a few. While the traditional butcher-block planking of this bed has familiar warm hues, it’s the open cap rail design that elevates the overall look with a modern twist. This traditional candlelight-style chandelier gets dressed up for today’s modern vibes with its open caged design and a dazzling bevy of clear crystals. You can hang this anywhere in the home and admire its glamorous blend of stylish elements. 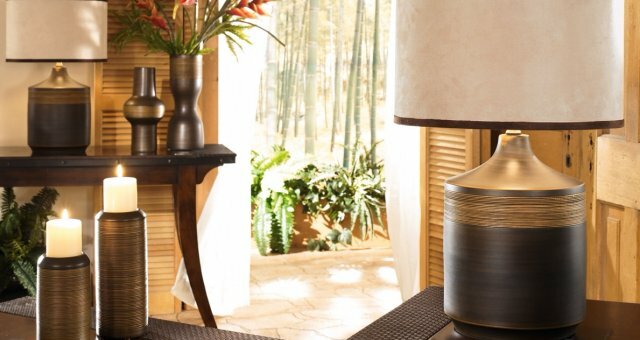 For your end table, a whitewash finished lamp styled with a traditional candlestick base introduces casual chic. Explore new paint colors for the walls. Experiment with various shades of neutral colors like beige, gray, brown and white. With a fresh coat of paint, you’ll quickly see how a neutral color provides a perfect backdrop for everything in the room. Similar to the room’s walls, a floor’s covering plays an important role. Look for hardwood, laminate, tile or carpeting that complements your furniture’s colors. Generally, dark floors offer a great backdrop for light colored furniture, while light floors offer more flexibility when you choose the room’s furniture and accents. If you don’t want to change the floor covering, consider rolling out a traditional area rug with modern elements. Calming neutral colors found in a rug like thisOpens in a new window evoke old world sensibilities in a modern tone. Look for rug patterns that draw upon traditional motifs. Empty wallsOpens in a new window offer you unlimited possibilities, especially when it comes to adding accents for an appealing mix of traditional and modern elements. Accent mirrors, especially those with beveled edging, antiqued finishes and straight lines, offer you a blend of the two styles. Traditional wall art that has modern elements is not too hard to spot. Art depicting landscapes or florals is a safe bet because it’s rooted in tradition. Fill open space using odds and ends that blend the best of traditional and modern aesthetics. Classic designs presented in modern materials or colors add just the right amount of interest. Candleholders and vasesOpens in a new window crafted of natural elements add warmth. Use picture frames, clocks and sculptures to fill the shelves. Feel free to mix and match traditional designs with modern pieces to create a look that’s anything but boring. Add final touches that can fit in traditional or modern scenes. Look for a blend of neutral colors and simple designs. Place baskets and poufs about the room for extra touches of style in areas that otherwise would be empty. Use throw pillows to easily dress up the sofa. Clean designs and simple textures are inviting and enrich the look. 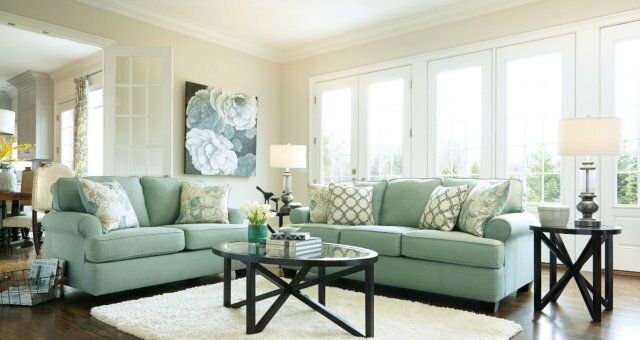 Traditional sofas can benefit from the star power of a fun, modern pillow, while modern sofas will be more approachable with the addition of pillows that sport classic textures and designs. Make the bed with a new comforter, duvet or quilt set. If you’re bedroom furniture runs modern, stick to neutral colors and classic patterns like paisley. Traditional furniture will pop with the addition of faux-fur throws. With this showcase of ideas, let inspiration take hold and relax as you find a balance of traditional and modern decor. If you have recently transformed the look of a room with stylish mixes of furniture and accessories, we’d love to hear about your experience.